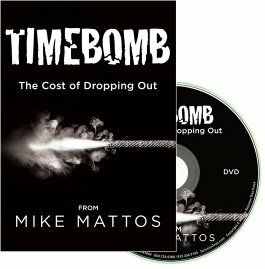 Timebomb addresses the urgency of reducing dropout rates and preparing students for a better future. Ideal for team meetings and whole-school professional development, the video’s bold message will inspire and energize you and your team to provide the best education possible by collaborating at high levels and establishing quality systems of support. Gain a deeper understanding of how education uplifts every aspect of a person’s life, health, and well-being. Empower teams to work collaboratively to respond to the needs of every student. Motivate staff to build quality systems of academic and behavioral interventions. Understand how educating today’s students positively affects subsequent generations. Video Length: Video is 2:58 and bonus footage is 6:53 for a total of 9:11.